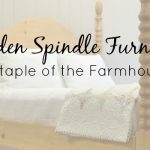 In fact, here at Cottage & Bungalow, we’ve taken notice of the popularity of several of our customizable furnishings, such as our bed frames, like our Frenchtown Bed, North Shore Bed, and Swedish Cottage Bed, as well as our incredibly popular bedside chests. Creating a space that is uniquely yours is as important to us as it is to you. Do you want to fill your home with customized pieces you’ll love for many years to come? 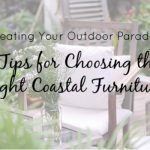 If so, there are a few things to consider when choosing custom coastal furniture. We’re here to guide you along the way. The function of a piece is almost as important as the style of a piece. How will you be using it and how do you visualize it enhancing your home. Perhaps you want a piece that perfectly fits a space in size or color. 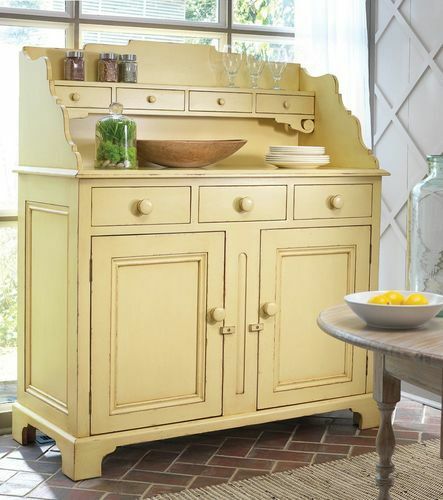 Maybe you’re seeking a multi-function piece that can do double duty such as a hutch or buffet. The key here is to plan well. Once you have a design scheme in mind, you can move on the next phase of choosing your new custom furnishings. 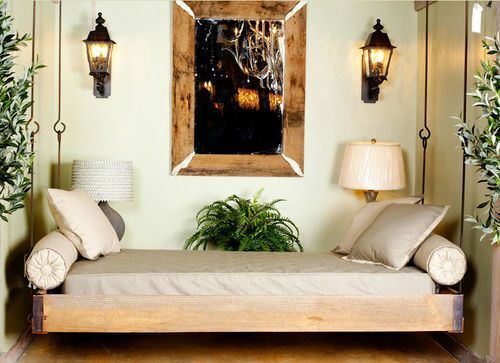 In rooms where you’ll have key long-term furnishings, personalizing them will make you feel more confident. Having said that you’ll want to really think through both the materials and price. Hardwood is often costlier than alternatives, but it can last a very long time. And each kind of wood has its own set of characteristics. Alderwood is a hardwood and can be sustainably sourced here in the USA. 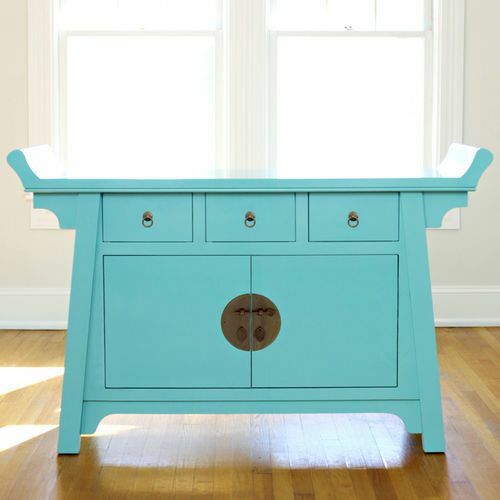 Popular can also be sourced here in the US and looks great painted in bright beachy colors, but if you want a stain, we recommend upgrading the wood because of the grain. Mahogany and mindi woods do not grow well here in the US and most pieces made from these woods are made overseas where it is sustainably sourced. But they look gorgeous painted or stained. Many hardwood options are handcrafted by skilled artisan who have honed their craft over decades, and pay very close attention to detail. Some artisan prefer to work on the piece from start to finish, so benchmade products can drive up the cost as well because it doesn’t allow for certain efficiencies that you see in in the modern machine-made furniture factory. Custom furniture is an investment and one that you will love on a daily basis. One of the benefits of choosing custom furniture is the freedom to choose the size, color, function, and style that you want. So when selecting a style, choose a timeless and classic, which is always on trend. Consider sticking to neutral colors for your bigger pieces and save bold and bright colors for accent pieces. You’ll want to properly measure the spaces you’d like to place your new pieces. Then do it again! Consider all the surrounding pieces to ensure it will fit perfectly. In addition to measuring the room that you are furnishing, you should also measure the points of entry. One of the biggest furniture buying mistakes is purchasing an item that may not fit inside the door, down the hallway or around a corner. Be mindful of every little space that can impact your new purchase. Maintaining your furniture properly determines its life span. You’ll want to choose materials that are easy to maintain. When maintaining your wood furniture, avoid excessive sunlight, dampness, heat, or cold. For routine cleaning, use a cloth that has been dampened with a diluted cleaning polish. When it comes to maintenance, you must also consider the warranty that the manufacturer will offer. 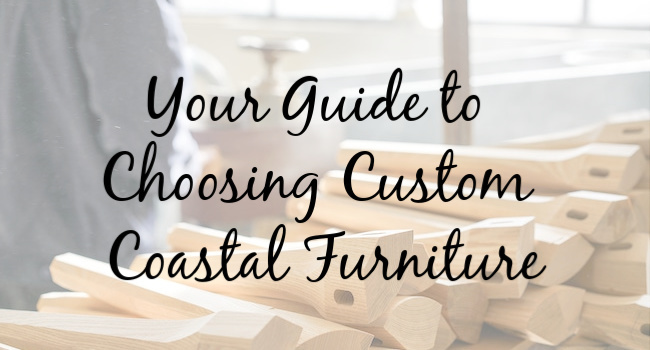 For any custom coastal furniture purchases, there are a few questions you should ask before moving forward. Do you offer samples? The last thing you’d want to happen is for the Robin Egg’s Blue bedframe you saw online to unknowingly clash with another piece. Samples give you an opportunity to see the color in person, in the light of your home with your other items. (And, yes, we loan free finish samples here at Cottage & Bungalow). What is the return policy? Often when ordering custom made-to-order pieces, returns are not eligible. Learn more about our return policy here. How was the furniture made? Understanding the background of a piece can tell you a few things, one, the quality and two, it creates a personal connection. For example, many of our made-to-order pieces are crafted in the Carolina Lowcountry, with a past heaped in history and tradition, which shows through. 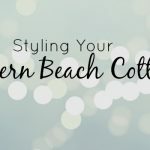 High-quality coastal furniture lasts longer, feels more unique to your style and sensibility and can improve your home’s functionality. Are you ready to fall in love with custom coastal furniture? 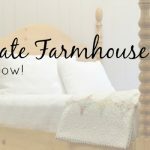 Visit Cottage and Bungalow for an extensive selection of bedroom, dining room, and living room furniture you’ll love.